The creation of a stunning new spa garden, complete with decking to complement the existing outdoor pools, has been an extremely successful investment. With over 20 years’ experience in spa and wellness design, award-winning spa designers Sparcstudio were drafted in to realise the project. 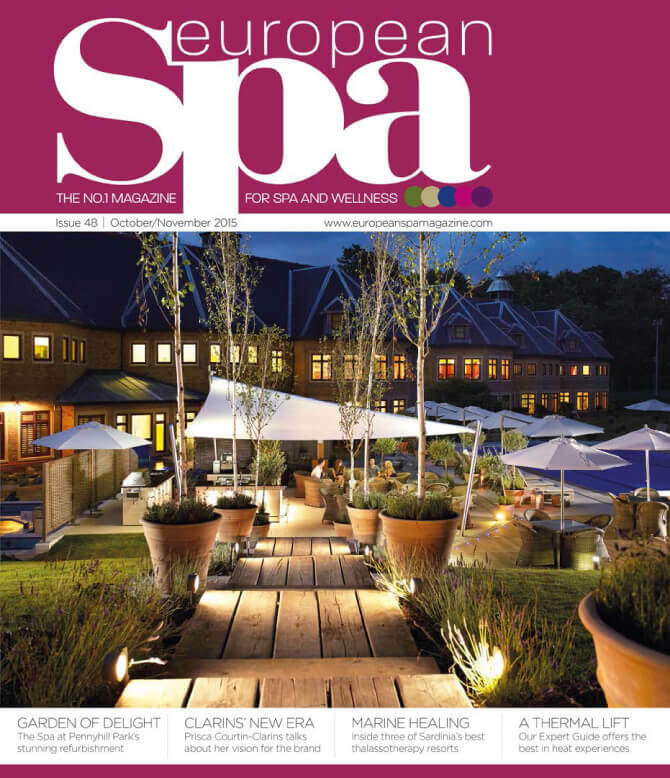 “We worked closely with Danny Pecorelli and the spa team to really enhance the overall spa guest experience.” explains Sparcstudio’s Beverley Bayes. To this end, a large circular deck area, with an elegant, retractable, up-lit sail awning that provides year-round cover as well as an attractive night-time focal point, was designed to cleverly house a dedicated bar and barbecue area. Sparcstudio has achieved a cohesive and romantic ambience in the new garden through the inclusion of hidden niches and screening to create subtle private zones, including an exclusive members’ area.